Carol has been practicing yoga for as long as she can remember! 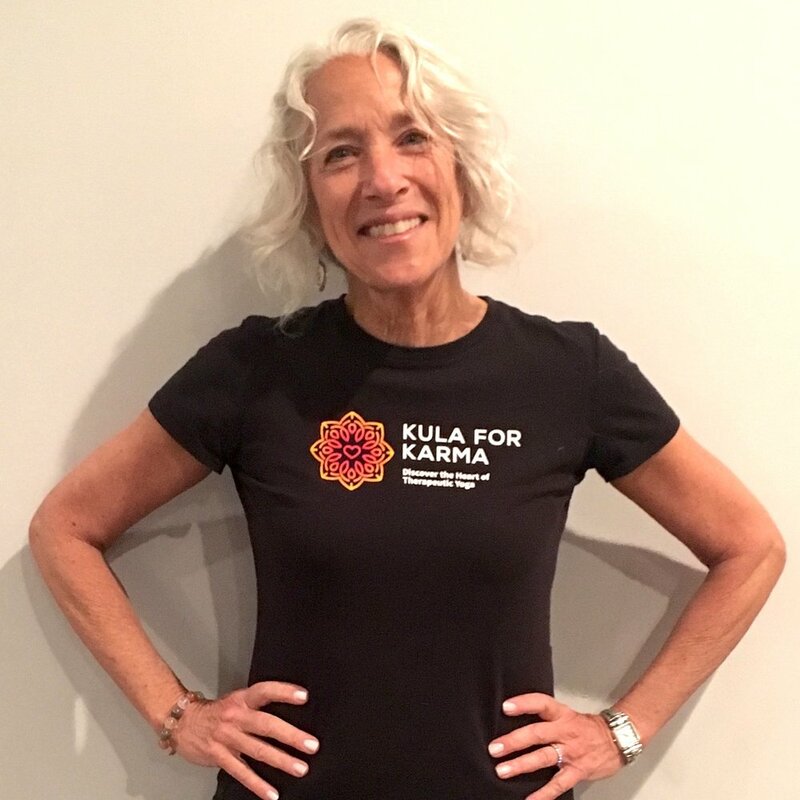 She began volunteering for Kula for Karma at Gilda’s Club in Hackensack ten years ago, and knew then that her love affair with Kula would last a lifetime! She has completed advanced teacher trainings in adaptive yoga, cancer care, cardiac health, MS and Parkinsons. Carol teaches cardiac and cancer students through Valley Hospital and helps to cover classes at Hackensack University Medical Center. She enjoys teaching both mat and “off the floor” classes that offer students a chair/standing yoga experience. Carol is also certified in prenatal and children's yoga, and is a Reiki practitioner. Carol has an energetic, yet gentle presence and teaches with enthusiasm and humor. Her classes offer students the gifts of yoga...strengthening the body, calming the mind, opening the heart and awakening the spirit. She weaves in yogic philosophy, self-reflection and self-acceptance. Her intention as a yoga teacher is to inspire others both to be curious and realize their many gifts, and to step fully into their most brilliant selves, smiling a lot along the way!